‘It’s the only diplomacy they understand!’ says whistleblower. As he instructed, I left my smart phone and tablet in the car. Considering what he said, I was surprised at the poor security. He flipped a coded card at a reader and the door slid open. Inside, the place was cavernous, as I expected. There were only about five people going about their business, some on the boats, others attending to complex consoles. There were six boats floating in the water. But I’d never seen anything like them before. Each boat was about two metres long and a metre across the beam. Smooth rounded nacelles protruded from each side. Looming over the two-man cabin were three narrow towers with propellers on top. They appeared to be very large drones, capable of floating or flying. Now, I only wished I’d brought my smart phone with me. Alfredo was nervous, understandably, so we didn’t linger. ‘But what are they for?’ I repeated. 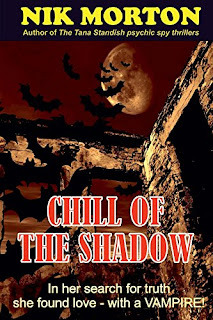 Maria Caruana can be found in Chill of the Shadow, as she investigates black magic and vampirism in Malta. In her search for truth she found love – with a vampire! My wife Jennifer enjoys reading all kinds of books. 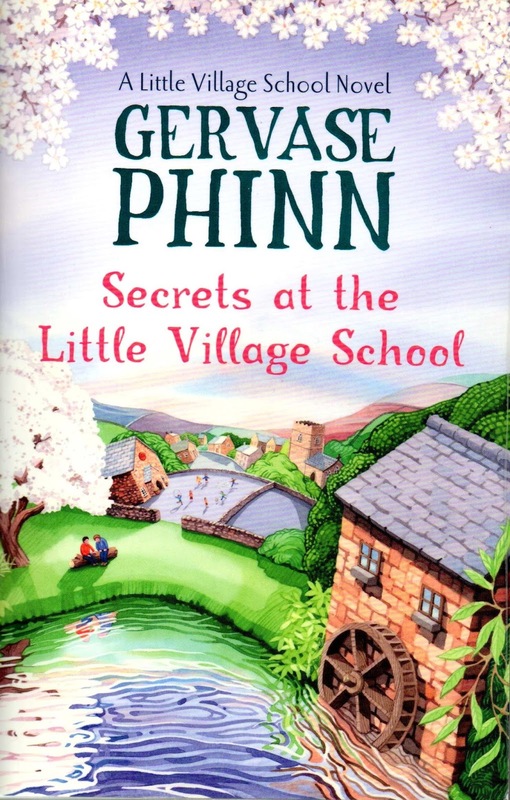 One of her favourite series is by Gervase Phinn, The Little Village School novels. She has just finished reading the fifth, Secrets at the Little Village School (2016). Over the years, I’ve been apprised of several hilarious snippets so I hope at some point to read them too. They appear to be acute observations of the life and loves of teachers, parents, children, and village people in Barton-in-the-Dale. Mrs Sloughthwaite was a mistress of the malapropism and the amazingly inventive non sequitur. She managed to mangle the English language like a mincer minced meat, often to the amusement of her customers. She would comment on the colourful enemas that flowered in the tubs by the village green, the Mongolian tree with the beautiful blossoms, the chameleon bush in the churchyard and the creeping hysteria that grew up the wall on the rectory. She would bemoan the fact that the lovely buddleia bush in her back garden was full of atheists. 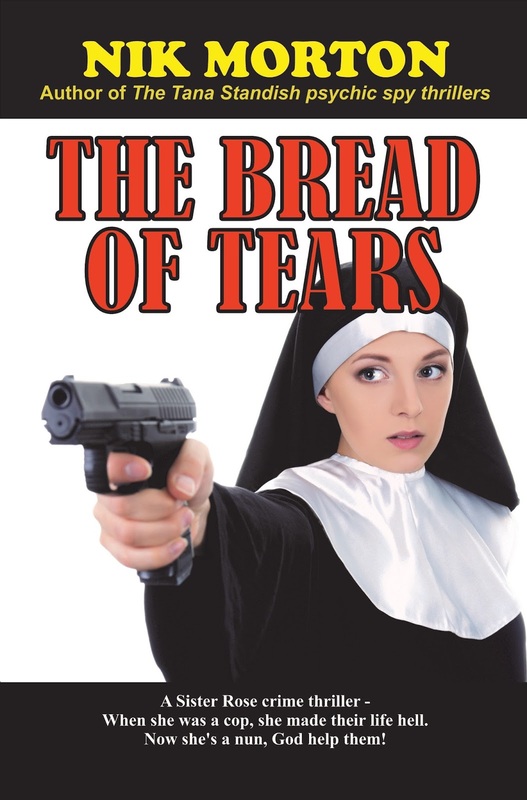 She would enquire of her clientele if they favoured semtex in their tea instead of sugar, if they wanted evacuated milk or the semi-skilled variety and if they preferred orgasmic vegetables instead of the ordinary sort. Starting on Monday (on ITV Encore) is an 8-part drama entitled Harlots. It’s set in eighteenth century Georgian London, a so-called family drama (as opposed to family-viewing drama). Inspired by the stories of real women of the period, it follows Margaret Wells (Samantha Morton) and her daughters as she attempts to balance her roles of mother and brothel owner. Her business comes under attack from Lydia Quigley (Lesley Manville), a rival madam with a ruthless streak. The House of Adeline had been the only game in town for some time. Then an enterprising madam called Jewel hung up her shingle about a block away and vied for clients. One day the working girls at Adeline’s nailed the door shut on one of the Jewel girls as she visited the outhouse – after throwing in a hornet’s nest. When the hapless girl was freed, she was badly stung and couldn’t work for a few days. Later, emboldened by this ‘success’ against the competition, Adeline’s girls then sneaked into Jewel’s back yard and put itching powder on the bedclothes drying on the line. Much cursing and scratching followed, and clients were lost. Several days later, the Adeline madam didn’t get any customers for some days and wondered why, only then discovering that a quarantine sign for measles had been placed at the front door! The two madams called a truce. 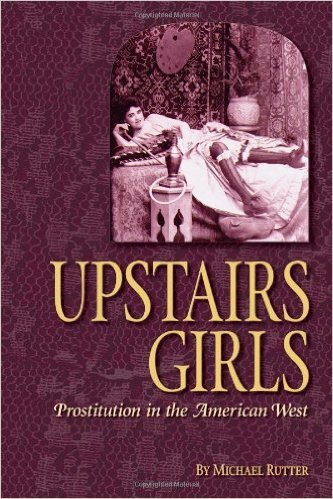 This is paraphrasing just one anecdote in a fascinating non-fiction history of prostitution in the American West – Upstairs Girls by Michael Rutter. I’ll write a review of the book shortly. The latest terrorist atrocity in Westminster rightly evoked anger, compassion for the injured and the bereaved families, and inevitably calls for all British police to be armed. The Abbess was kneeling with her back to the door, praying in front of a rack of lit candles. She turned her head slightly towards me. ‘Please be patient, Sister Rose, while I finish my prayers for our dear Sister Leocritia.’ Her New York accent was still very strong even after many years in England. I nodded agreement and she turned back to the candles. When I joined Northumbria Police I was Maggie Weaver – though Mike called me Meggie – and I had still attended church services about once a month. For two years I was in their armed response unit and when I shot dead my first criminal – David Paul Duggan, a name I wouldn’t forget, it was like remembering your first love’s name – I lit a candle for him. At the time I had no doubt that as a multiple murderer he deserved to die, but I still hoped his soul might find peace. Then my weapon was seized and sealed for forensic checks and swabs impregnated with a chemical preservative were taken from my hair, face and hands and my clothing packaged and sealed. This was to verify that it was my bullet that took Duggan’s life; perhaps the rule-makers had seen the film The Man who shot Liberty Valance. I then waited for the inquiry to look into the shooting – self-defence, with two senior officer witnesses – losing my sleep and some weight in the process. When I was cleared, I was reassessed to remain an ‘authorised shot’. For my second killing – Morgan Sugden – I also lit a candle and offered a prayer. After more months of inquiry, I was in the clear again. At that point the post-traumatic stress was getting to me so it was mutually decided that I’d leave the ARU and continue my police work without a weapon. Even in these violent times, when thousands of British bobbies find themselves armed for one call-out or another, most gun-carrying police officers rarely draw their weapons and in fact do not kill many criminals. It was just my bad luck, to be in a situation where the gun was mightier than any words I could muster. I was commended on both occasions, because I saved other people by snuffing out the lives of two men, lives extinguished as easily as a candle. Some months later, I was chasing an armed robber, Bill Reavley, over the rooftops when he fell and was seriously maimed. That was the day when I decided to keep away from the church. I convinced myself that I could do without that added angst. The priest, Father Collins, telephoned me once, and then we lost contact. Staying away was easier than going back with excuses after a long lapse: that guilt thing again. If someone had told me then that I would become a nun, I’d have sent for the men in white coats. … Don’t think that once you’ve recovered from the grim murders of the opening chapters you can settle down to a straightforward detection model… As sadistic as Hannibal Lector, this killer will scare you – be warned! – Maureen Moss, author of More to Life. … The stuff of all male fantasies rolled into an incredible bundle. And what a novel! Mr Morton skilfully delivers a well-crafted thriller with more than a little intrigue, a love story in the making and some subtle twists from start to finish. The final fifty pages or so seemed to turn by themselves such was the pace of the climax of the story. I for one have fallen for this deep thinking female. – Ken Scott, author of Jack of Hearts, ghost-writer of Do the birds still sing in Hell?